The main theme: "The Futures We Want: Global Sociology and the Struggles for a Better World"
The main aim of this paper is to present a discussion of a recent research on professionalisation of early educators undertook in three large Russian cities in 2013-2014. First, we interviewed experts: heads of public and private preschool educational institutions and trade unions leaders. Second, we studied the views and attitudes of rank-and-file early educators in a quantitative questionnaire survey of 779 respondents. The research indicated that the social standing of early educators started to decline in the 1990s. This negative tendency continues to this day. Early educators are attributed a relatively low and inconsistent status and a low authority. The situation was quite different in the Soviet period when preschool educators actually monopolised the function of education and upbringing, sometimes displacing the family. It was the time when preschool educators were considered to be a part of the intelligentsia distributing the central values of the society. Their knowledge-base was scientifically grounded, ideologically covered and sanctioned by the state. To date the state tries to stimulate early educators' professionalism through the imposed changes in the knowledge-base of the profession The recent state reforms are now likely to have the most critical influence on the professionalisation of preschool teachers, as the role of professional associations is confined to trade-union matters. The state may improve the remuneration of preschool teachers and establish higher standards for preschool education. The Professional standards developed by the Ministry of Education and Science may revise the accreditation process introducing higher educational and personal requirements for applicants. Fine-tuning of the overall knowledge base of early childhood educators may help to raise the level of professionalism and facilitate changes within the education field. In order to professionalise from within early educators should understand and accept the responsibility to become politically aware and to act as advocates for themselves. The dialogue around engineers has increased as concerns about the quality of engineering have been raised in Russia. Every modern industrial country needs technological expertise to be competitive in the global market, and it is critical to train engineers to provide that expertise. Modern Russia is one of the countries with the most engineering graduates. Higher engineering education in quantitative terms shows positive trends, but there are concerns and challenges for the quality of engineering and technical education. Russian higher education institutions that train engineers are not listed in any international rankings of the best universities. The situation was quite different at the Soviet time, when Soviet higher engineering education institutions were prestigious. This paper is dealing with how engineers in Russia have been affected by economic reforms, particularly by austerity policies, in their working conditions and in the content of their profession. An analysis of modern engineers' social status and their views on their low social standing have become one of the central issues in the ongoing project 'Russian Engineers: Development of the Profession in the Reforms'. The interview research aims to investigate the background, work situation, and the attitudes and values of engineers in the lights of austerity policies. In the paper we shall present selected results of the interview research with engineers and show the main barriers and reasons that hinder young people from choosing the career of engineering or from persisting it. One of the main reasons is the decrease of the prestige of engineering in society and the lack of state support for professionalism in engineering. Civic activism is a multi-level and complex phenomenon. Differentiation of political and non-political practices is one of the most important methodological aspects of its study. The results of studies conducted by the IS RAS show that over the past years 57% of Russians had an experience of political participation, and 34% had an experience of non-political participation. Despite the low level of non-political activism, its forms were more diverse, reflecting the direct incentives of its participants. Surveys revealed that one of the main causes of low civic activity of Russians is the lack of effective methods of interaction between the authorities and society. If the ability to create various political and social organizations able to represent their interests notes a third of Russians, the prospects to convey their interests to the authorities assess positively 21% and to influence the policy of the state only 12% of them. In this context, the protest movement of the early 2010s can be considered as an alternative form of communication, aimed at attracting the attention of the authorities to the opinion of general public. Civic engagement is unevenly distributed among the various social strata and groups, the members of which have different opinions on urgency of the problems facing them, as well as on the effectiveness of their participation in solving them. It is not just about the level of involvement in socio-political activities, but also about the specific forms, methods and motivations of civil participation prevalent in a particular social environment. The variety of forms and methods of participation of representatives of various social groups makes civic activism an important area of social life, sphere of interaction between the state and society. In the ordinary sense dream is associated with a cherished desire. But sociological understanding is not limited to that: dream is also a mental image of the desired future of the society. So sociological study of dreams is necessary - without it it’s not possible to define image of the future desired by population of the country. So comparative project is especially interesting, since it not only reveals the specifics of dreams and their basic elements in two BRIC countries, but also defines cultural and civilizational specificities and correlation between norms and values systems of their population that are reflected in the specifics of the dreams. Understanding of the desired future and its elements that exist in the views of Russian and Chinese population also give an answer to the fundamental question of whether "Russian Dream" and "Chinese dream" represent alternative public projects and how they correspond with the proposed images of desired future in other cultural frameworks, both at the macro-and micro-level (ie at the level of the "big" dreams about a particular society, and at the level of individual dreams about something personal). This type of research is particularly important considering the fact that in the past three decades qualitative changes in ratio between planned and market principles in the economy have occurred in both Russia and China, but paths of transition to market that these countries have chosen were quite different. Among the key factors that determine characteristics of the modern development of these countries are norms and values systems that form the core of the national culture, and the key issue in this context is the problem of effective combination of economic modernization processes and development of market economy, on the one hand, and preservation of specific national culture - on the other. Education is often regarded as an institute that contributes to the equalization of life chances in society. The critical tradition in sociology represented by P.Bourdieu and J-P.Passeron focused on the inequalities of the system of education itself. The inequalities tend to stem from differences in cultural capital, level of integration of the students to the system of institutional rules and ambition. The All-Russian representative survey based on the sample of 2003 respondents focused on the different perceptions by students of the educational institutions and the process ongoing inside it. The respondents evaluated the justice of grading and the justice of education outcomes. It turned out that variance in the assessment of justice inside the institution is closely related to the achievement level of the respondent and later mobility outcomes. The more successful the respondent was, the more justice he attributed to the system of education, the more positive was his or her assessment of education. The survey revealed an obvious dependence of the perception of justice in education on perceived outcomes of the educational attainments and the larger context of social mobility. The survey also revealed that the years of learning and the level of skills had a significant impact on the way the education process if perceived. Most of these factors depend on the family background of the respondent and point to an influence of family cultural capital on the evaluation of justice in education system. One of the most important resources of innovational development of our society is motivation of young people to education, their intentions to continue it and their attitudes towards profession. Results that are going to be reported are based on the materials of the project “Education, labor market and social behavior of youth in modern economic situation”, where multistage combined sample was used. The survey was conducted in the nine federal regions of the Russian Federation. The data about the kinds of education that young people consider essential to be successful in life, what level of education they prefer; what motives drive them in choosing this level of education and future profession is described. School graduates’ attitude towards the world of professions: the prestige, social significance and profitability of the different occupations are discussed and the ratio of estimates on these criteria is analyzed. The results of the study of future profession choices of young people leaving school and motives of such choices are also described. No decision about the future is significant for quite a large part of school graduates. In conclusion, attention is drawn to the importance of targeting young people to receive higher education. Mass aspirations to a high level of education get great value in today's world. The study was supported by a grant from the Russian Science Foundation (project №14-18-01985, “Education, labor market and social behavior of youth in modern economic situation”) and implemented by the Institute of Sociology of Russian Academy of Sciences. Upbringing of Engineers: Resources and Limitations of "Intergenerational Career"
This paper focuses on the issues of the resources of family upbringing of future engineers under crisis conditions in engineering education in Russia. The balance of fundamental knowledge and practical skills in the higher engineering education curriculum, as well as the role of continuity in its development are at the heart of current discussions regarding a new stage in its development. One of the issues of today’s discussion is the application of the historical experience of family traditions of professional practice in the 19-20 centuries science education as a possible resource of efficiency of modern engineering. The subject of this paper is the examination of practices and prospects of the incorporation of professional family traditions into the formation of the early careers of younger generation. Key questions are associated: firstly, with the socializing effect of professional experience of the previous generations, which becomes the "initial" career capital for the new generations; and, secondly, with the impact of the so-called professional family dynasties in the sphere of engineering profession on this process. This offers grounds for discussion of the "intergenerational career" issue – career advancement, based on socialized and integrated resources of professional family practice. Professional dynasties were encouraged during previous periods of Russian/ Soviet history. How highly in demand are they under the present conditions in the engineering profession? Knowledge and practice in the field of science and technology are changing dramatically. Do the inherited professional practices become an obstacle for the new generations of engineers or, on the contrary, are the professional family traditions - an advantageous start for their new careers? 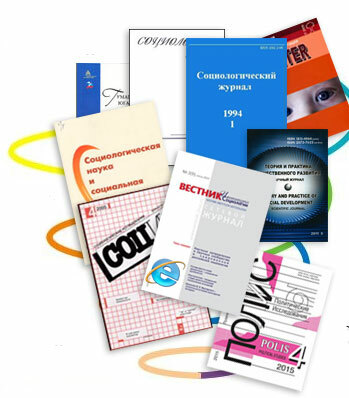 These issues are examined based on the research project (supported by the Russian Foundation for Humanities, grant № 15-03-00666), encompassing the analysis of semi-structures interviews with experts and engineers. Socio-labor precarization is one of the modern phenomena expanding all over the world and cause much alarm among state officials in many countries. The experts warn that the spread of the socio-labor precarization brings systemic risks not only for socio-labor sphere but for the whole society as well. It has disastrous consequences for fundamental social institutes (family, education, public law, etc. ), dehumanizing and destabilizing effect. Nowadays, the aggravation of the problem of unstable and insecure employment in the world pushed a new wave of investigations provided by ILO and international teams (SUPI, ESOPE Projet etc.). The specific feature of precarization processes in Russia is that it is mostly determined by inner factors. Among the most significant of them are: liberalization of the economy (and almost complete denial of labor standards in 1990s); uneven regional development and high level of labor market differentiation by territorial, sectorial, professional, demographic and other specific features. The authors examine challenges of socio-labor precarization and insecure employment diffusion in one of the regions of the Russian Federation - in the Republic of Bashkortostan. On the bases of sociological and statistical data the authors provide analysis of prerequisites, symptoms and aftereffects of insecure employment extension in Bashkortostan; identifies national and regional peculiarities of socio-labor precarization and suggest instruments for measuring and monitoring it. The paper deals with the problem of combining biographical life course data and mass survey social mobility data in social mobility research. In order to deal with this the author will stop on the notion of subjective social mobility as a focus of working in this dimension. This approach helps to view the problematics of social mobility from micro-focus as individual or group attitude towards mobility in global society. While demonstrating the results of empirical data from Russia received by intergenerational comparative mass survey combined with biographical data on the same age cohorts, the paper will stop on the micro/macro differences in understanding and experiencing mobility in its different dimensions which are more vividly seen in marginal groups then in high status groups. The low status individuals see social mobility more as private space movements and achievements (for example, as family status mobility or settle-type mobility) then high status individuals more confirm traditional-normative understanding of mobility. Moreover in empirical data there appeared some new tendencies in perceptions of social mobility on individual level which could be discussed as first-hand hypotheses, such as geographical mobility, tendency to 'stable trajectory' or immobility, and horizontal mobility which enrich and change our traditional understanding of social mobility as a classical sociological term. The special attention will be devoted to methodological aspect of the empirical results: the problem of combining biographical and survey data on mobility in several generations approach: field research problem, interviewee attitudes, the 'the language on mobility' in everyday life and on scientific level. What are the opportunities in national education systems to achieve a leading position in the world rankings? In this regard, we believe that the global education market has already formed, and rating systems support it, which set up a methodological tool for the maintenance of the current picture. How do these ratings correspond to assessing the quality of professional graduates? Perhaps the quality of the students’ training does not depend on the university’s rank? It is known that the Bologna Process was intended to address the alignment quality of vocational training in national education systems, and not for the distribution of financial flows of the global education market. This brings into question the degree of relationship or dependency of the global labor market and the global education market. Youth need a successful self-realization; economy needs a skilled manpower; the sphere of education is connected with these two components, but also has its own interests. The relationships between these three participants of the interaction are formed differently in different contexts. A specific situation can determine to what extent the sphere of education is focused on the interests of young people and to what extent on the employers’ needs. The state can influence the educational sphere through funding and other incentives. Does the labor market have opportunities to affect the educational sphere? Employers may be active, but may not be ready to participate in the functioning of educational organizations. In addition, they may not be interested in influencing young people and may not have tools for it. What are young people’s intentions concerning their educational and professional careers? How these intentions are related to the actual situation on the education and labor market and how to some abstractions? It is important whether the labor market signals reach young people or there is significant distortions in communication channels. In different social conditions, the interaction between the labor market, the educational sphere and youth creates various problems and conflicts. A successful solution is vital for the development of the whole society. What can be done to increase youth opportunities, improve education and ensure the economy needs? Participants are invited to discuss the experience of different countries and prospects of situation development in the future world. Coming back to the discussion about the effects of increasing the number of students, it is useful to verify the approaches that are practiced for analysis of inequality in education. There is no doubt that it is necessarily to study the inequality not only at the entrance to the university, but also for graduation from it. But is it enough? Perhaps we should go further in our researches and define inequality not by the formal level of education. How education actually turns out to be mover of social mobility for the individual? In other words, it is necessary to consider what opportunities on the labor market are given by education. It is no secret that various universities provide different quality of education. This is a significant cause of social inequality, which manifests itself when a university graduate entering the labor market. Studies show that children from high status families receive quality schooling; it gives them the opportunity to go to universities, which provides quality higher education; then they get relevant job and status. For children from the lower strata the life career develops differently. Usually they are not graduates from the best schools; as result, they often receive poor quality higher education; and then obtained university degrees do not give them the opportunity to get a good job and high status. We observe one of the effects of mass higher education: those who previously (at previous decades) were outsiders at the entrance to the universities became winners now; and then their victory turns defeat when they graduate from university and go to labor market. The research challenge is to link the inequality in the educational sphere with inequality in the labor market. The main results of thee quantitative and qualitative researches of educational and professional trajectories of youth are shown. The impact of initial educational recourse – the type of graduated secondary school – on further educational achievements, including the situation 10 years after the release from secondary school, as the impact of the starting secondary education to the occupied now social and professional positions are found. The close interrelation is being established between the intensity of investments into education while a work and the starting secondary education which had been received 10 years ego. The relationship between the accumulated educational and professional resources and the demand in the labor market is brought to light.